Magen David Adom (MDA) is Israel’s national ambulance, blood-services, and disaster-relief organisation. Yet, it is not a government agency, and relies heavily on charitable donations. 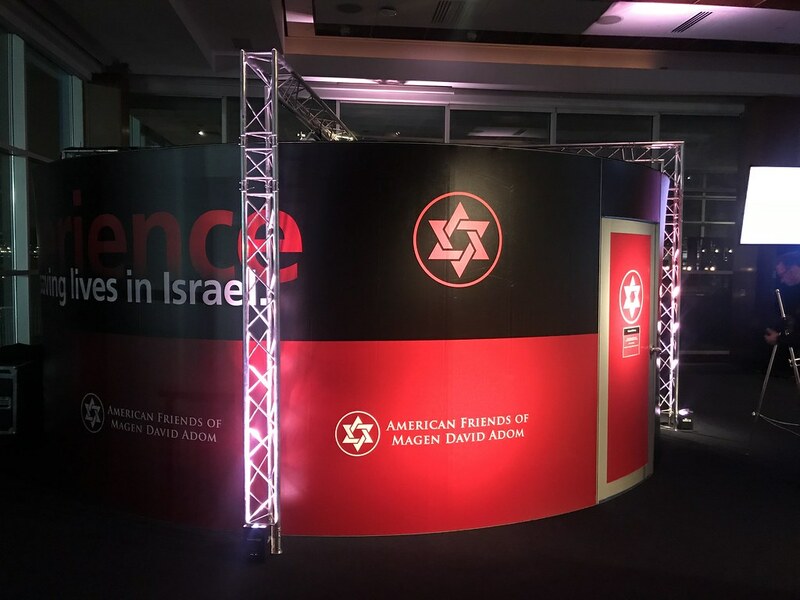 American Friends of Magen David Adom (AFMDA) is the largest supporter of MDA worldwide. To encourage engagement and donations, it hosts several major events each year. And, for its 2017 Annual Gala in New York, AFMDA was looking for a new way to bring MDA’s work to life. AFMDA already had a 360° film of MDA staff responding to an emergency. The challenge was to find a good way to share it and Igloo was the chosen solution. We provided a 6-metre cylinder for the New York event and it was such a success that we were enlisted to join subsequent events in both Boca Raton and Palm Beach, Florida.